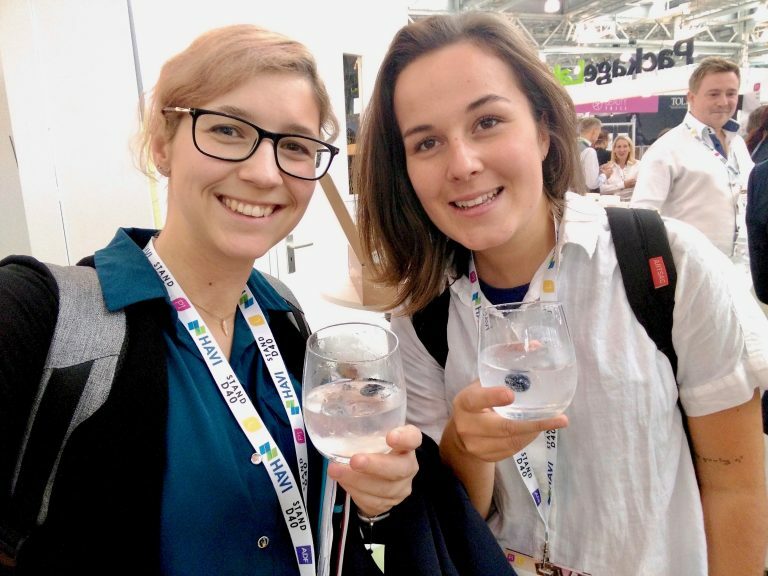 Last Wednesday, the Alterwaste team hit London for Packaging Innovations 2018! During the exhibition, we had the chance to check out some of the hottest innovations in packaging and hear some inspiring talks during the speaker’s programme. It seems that sustainability is being taken seriously in the packaging industry and the reduced waste movement is real! 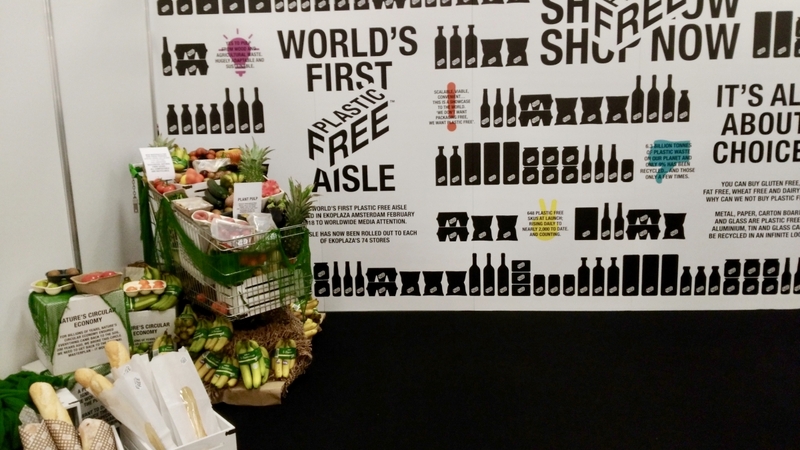 Between talks, we had the chance to check out the Plastic Free Aisle, brought to Packaging Innovations by international environmental campaign group A Plastic Planet. 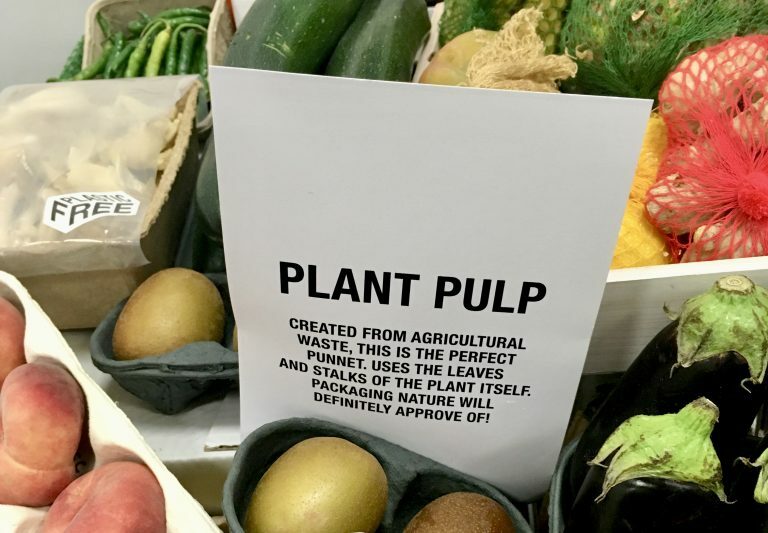 The aisle had a variety of products wrapped in innovative materials including wood, cellulose and plant pulp, compostable biomaterials as well as traditional materials including glass, metal and carton board. Unsurprisingly, we were extremely excited by this concept and hope to see it come to supermarkets in Scotland soon! How can waste become opportune? Reusing plastic waste was a topical subject at this year’s Packaging Innovations. Working towards zero waste is not all about coming up with new, plastic free materials. By making small changes and caring more about which bin we use, we can make sure plastic products are making their way to recycling plants and encourage manufacturers to turn one person’s waste into another’s treasure. Check out how people around the world are taking plastic bottles and turning them into eco bricks for construction here! Consumer’s are moving towards a more environmentally friendly mindset and even in the luxury packaging industry, there is a demand for sustainability. Unfortunately, a lot of luxury packaging is still hugely unsustainable, particularly with the use of glossy films covering paper. The good news is, 75% of consumers believe in living an ethical/sustainable lifestyle and this mindset is driving change. After such a successful trip, we are already excited for Packaging Innovations 2019, with the aim to exhibit next year! Not to forget, we thoroughly enjoyed the free tasting of Artic Blue Gin from Finland after a long day on our feet at the exhibition!